Because the aging population is inevitable, US local health care officials said that they needed more nurses with four year degrees. The RN to BSN program is a “completion” type and a fast-track program usually 1 or 2 years depending on the school or college. It is ideal for nurses who would like to expand their knowledge base, have increased job security and enjoy greater career mobility. What are the Benefits of having a BSN Degree? More Career Options – Nurses who have a Bachelor of Science degree can find many of the same jobs as a Registered Nurse but they have more options as to the level they aspire to. You may be eligible for management and leadership positions, and accordingly, will increase your earning potential. Management-level nursing requires an advanced degree such as a BSN. According to the U.S. Department of Labor, Bureau of Labor Statistics, in management, nurses can become anywhere from the assistant head nurse or head nurse, to assistant director, director, and vice president and upwards. Hospitals prefer an RN to BSN degree – Hospitals seek magnet status, they are required to have a certain number of BSN prepared nurses on staff, so you will become more likely to secure and retain a hospital position. Future Goals – When you think about moving away from the bedside into positions such as quality control, safety, management, teaching, research, sales, etc. Many of these are “BSN preferred”. Other career opportunities include research, consulting, and teaching. A nurse with a BSN can manage a home health care clinic and ambulatory services, etc. Nurses can also move into the business side of nursing to becoming an manager of an insurance company, pharmaceutical manufacturer, and managed care organization. Online courses are convenient – Reduces travel cost and time to and from school. 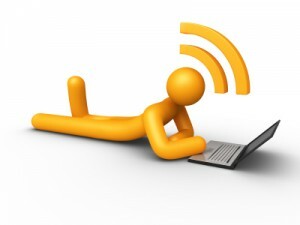 Online courses offer more individual attention – Self-paced learning modules allow learners to work at their own pace. Online courses promote life-long benefits – Successfully completing online or computer-based courses builds self-knowledge and self-confidence and encourages students to take responsibility for their learning. This entry was posted in Nursing Programs and tagged accelerated bsn programs, accredited online rn to bsn programs, bsn online programs, bsn programs, online rn bsn program, online rn bsn programs, rn bsn programs, rn to bsn online programs, rn to bsn program online, rn to bsn programs, rn to bsn programs online, rn-bsn online programs. Bookmark the permalink. I don’t understand this program. in the Philippines you need to have a degree of associate in health science education first then B.S.N. Before you can have the privilege to take a licensure exam to become an R.N. They should offer this program to the Philippines as well for those who have not enough money to take the b.s.n degree. This program is for US. can u please explain whether the BSN is similar to the bachelors degree i am doing now and what are the requirements for masters program in US?? You have to finish your BSN in your country, then take the NCLEX to have a license to work in the US. Regarding masters program, colleges in the US have different requirements. I suggest you to visit the school/college website for more information. do you happen to know if the US government already lifted the ban for the provision of working visa for foreign nurses? is there still a chance for us foreign nurses to work in the US these days?